We discussed about the comparisons between Pella vs Andersen windows in our previous article. There, we pointed out that, while both manufacturers do produce vinyl windows, fibrex is actually a proprietary material of Andersen. Therefore, fibrex can only be used by Andersen and those who have been granted permission by Andersen. Fibrex windows, unsurprisingly, are only available in the Andersen brand. Now, you are probably wondering how good those fibrex windows actually are. Are they more expensive than vinyl windows? Are they really better than vinyl windows? We will try to answer those questions below. Let us see what advantages and disadvantages that each of the two options offers. Depending on your needs, you will probably prefer either fibrex or vinyl windows. Vinyl is a synthetic material made from polyvinyl chloride or other related polymers. It is the world’s third most produced synthetic plastic polymer. There are actually two types of vinyl. The softer one is more flexible due to the addition of plasticizers, used for plumbing, electrical insulation, phonograph records, imitation leather, and rubber replacement. The rigid one is typically used in construction for pipes, doors, and windows. Vinyl was invented to be a cheap yet durable industry material. Therefore, it is not surprising that vinyl windows are generally very affordable and budget-friendly. Fibrex is a proprietary composite material of Andersen. It is claimed by the company to be twice as strong as vinyl. It is said that it won’t fade, flake, peel, or blister. 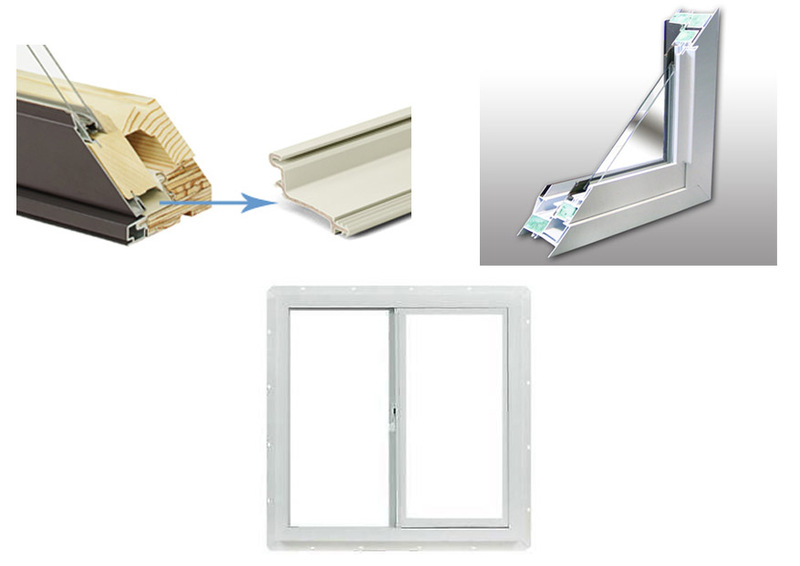 Fibrex windows are unique to Andersen, available in the 100 Series, A-Series, and Renewal by Andersen. Fibrex is composed of 40% wood fiber, acquired from recycled Ponderosa pine wood products, and 60% vinyl. Of course, it was initially developed to make Andersen’s operation more efficient. By reusing the sawdust obtained from their wood window production. Some of the vinyl is also acquired from the company’s own production, but the rest of the vinyl requirement is also acquired from other suppliers. One of the people’s concerns about wood is rot. However, you don’t need to worry about that with fibrex because the wood fibers are completely surrounded and coated with vinyl. Without exposure to the elements, the wood fibers will not rot. Andersen’s marketing of fibrex is technically honest. However, perhaps like any other marketing campaign, the marketing of fibrex by Andersen is very ambitious. It gives an impression as if fibrex is incredibly superior to vinyl, and skeptical customers may actually shy away from such ambitious marketing. 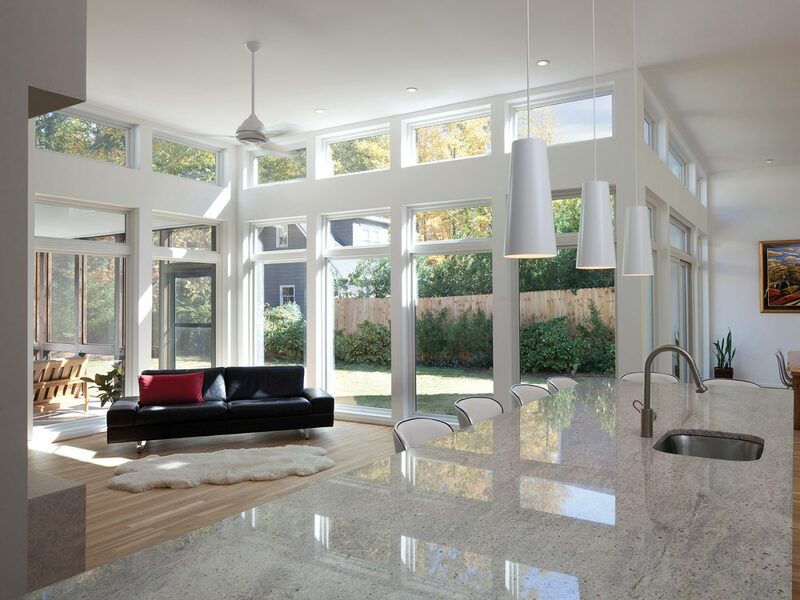 Nevertheless, there are indeed several advantages offered by fibrex windows. The first advantage that fibrex windows offer is indeed the greater strength. The company says that fibrex is twice as strong as vinyl, and that is true in terms of compressive strength. Fibrex windows are less likely to break, as they are able to withstand greater impacts and pressures. Due to the increased strength, a fibrex window can have a slimmer frame, allowing more sunlight to come in. Vinyl windows, on the other hand, are reasonably durable, but may break upon an incredibly heavy impact or pressure. One of the factors to consider when installing a window is the thermal expansion. The windows may expand when exposed to higher temperature levels. The thermal expansion may cause pressure and possibly break the window is there is not enough room. On the other hand, creating too much room makes the installation loose. Choosing a material that has a low thermal expansion is better. Of course, fibrex has a lower thermal expansion rate (1.6) than vinyl (4.0), making it able to tolerate higher temperature levels without breaking. The second advantage of fibrex is that it is quite an environment-friendly material. This is because it is made from recycled materials, though it may also use virgin vinyl. On the other hand, vinyl alone is a synthetic material. Any product that is made from recycled waste products can be considered eco-friendly due to keeping away contaminants from the earth and the atmosphere. When choosing a window, you have to consider how much heat insulation that you need. If you use an air conditioner to heat the air during the winter, a window with bad insulation may cause the heat to leak out. Thus, the air conditioner will have to work harder. This drives up the electricity bill. Fibrex may seem like a good material for heat insulation, as it claims to be nearly 700 times better than aluminum in reducing heating and cooling bills. The statement is true. But comparing fibrex to aluminum is an invalid argument because aluminum is basically a heat conductor in the first place. If you compare it to vinyl, however, they have more-or-less similar insulating properties. 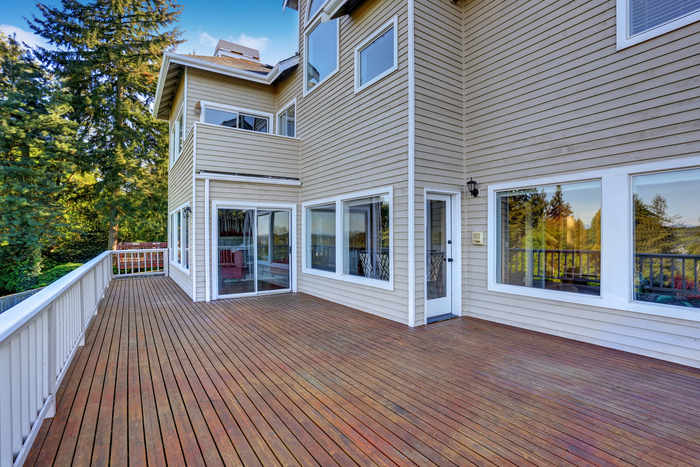 Additionally, when exposed to high heat, vinyl windows – especially those with darker colors – are prone to sagging and bowing. Andersen claims that fibrex windows are better than vinyl windows in resisting heat distortion so that they do not sag or bow as easily. Technically, that is true. However, the difference is ‘marginal’. The temperature threshold of vinyl is 163-degree Fahrenheit, whereas fibrex’s is 173-degree Fahrenheit. Despite the ten-degree difference, both are still below the distortion starting point of 180-degree Fahrenheit. Finally, fibrex windows are indeed significantly more expensive than vinyl windows. The price difference can be as large as three times. Why does a window made from recycled materials cost so much? Probably because it is a proprietary material. Nevertheless, a fibrex window usually comes with a ten-year warranty, but high quality vinyl windows are also available with such warranties. If you are an environmentally conscious person, you probably won’t mind spending extra bucks for an eco-friendly alternative. Thus, fibrex windows can be great. After all, fibrex windows are indeed stronger and more durable than vinyl windows, so they possibly will last longer as well. However, in terms of heat insulation and heat resistance, fibrex windows are just about as good as vinyl windows.